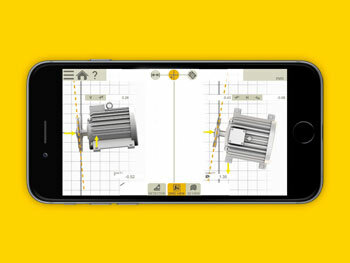 The Easy-Laser® XT190 BTA allows even more accurate and efficient alignment of sheaves, belts & pulleys and is unique to the market in being able to offer digital read off! The XT190 BTA Laser Pulley Alignment Tool from Easy-Laser allows accurate and efficient sheave alignment, belt alignment and pulley alignment. 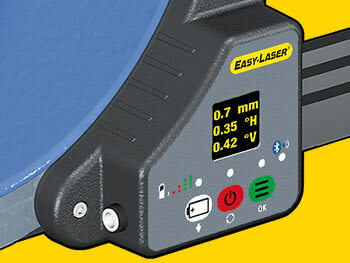 Easy-Laser is unique to the market in being able to offer a digital read off. The transmitter generates a laser plane parallel to the reference sheave. The detector reads the position in relation to the laser plane and provides a live digital display of both offset and angular value. This makes the alignment of the adjustable machine very simple. The accuracy of the digital readout also means that you can align within prescribed tolerances and rely on the result. Compared with old methods such as rulers or straighedges, the laser alignment is more accurate and efficient when both horizontal and vertical adjustment is carried out at the same time. In addition, the work can be performed by one person alone, in a significantly shorter time. The XT190 BTA Laser Pulley Alignment Tool is mounted on the sheave/pulley using super magnets. It can be used on all types of sheaves/pulleys, such as v-belt, timing belt, flat belt and chain drives. If you have aluminum sheaves/pulleys, the low weight of the tool means that it can be attached using strong double-sided tape. 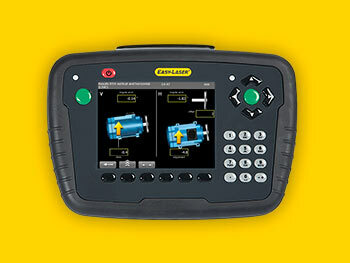 Follow the adjustment on the integrated OLED display, on the free Easy-Laser XT laser alignment App on your phone or tablet*, or on a separate Easy-Laser display unit**. 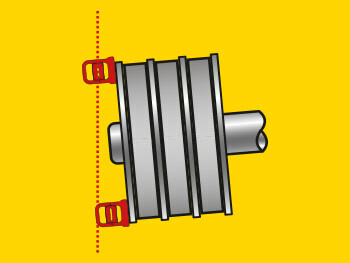 The machine’s shim and adjustment values are automatically calculated. It is also possible to read off visually on targets (included). 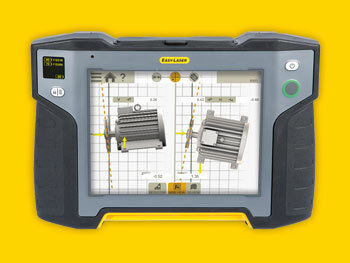 With the XT11 display unit or mobile device, it is easy to save the data and create a PDF report. ** Can be used with E or XT series display units.